The happy post just keeps appearing. We have been out of the house recently, I promise however with T starting school (more about that in a different post) and work starting again for us both, things have been a bit hectic. I don’t buy loads of pink here. I just don’t like it as a colour. I love green and brights. See everything we own, full disclosure, our car is grey. I made an exception with these shoes. I spotted them in the Next AW preview and thought they were quirky odd enough to fit in our wardrobe here. 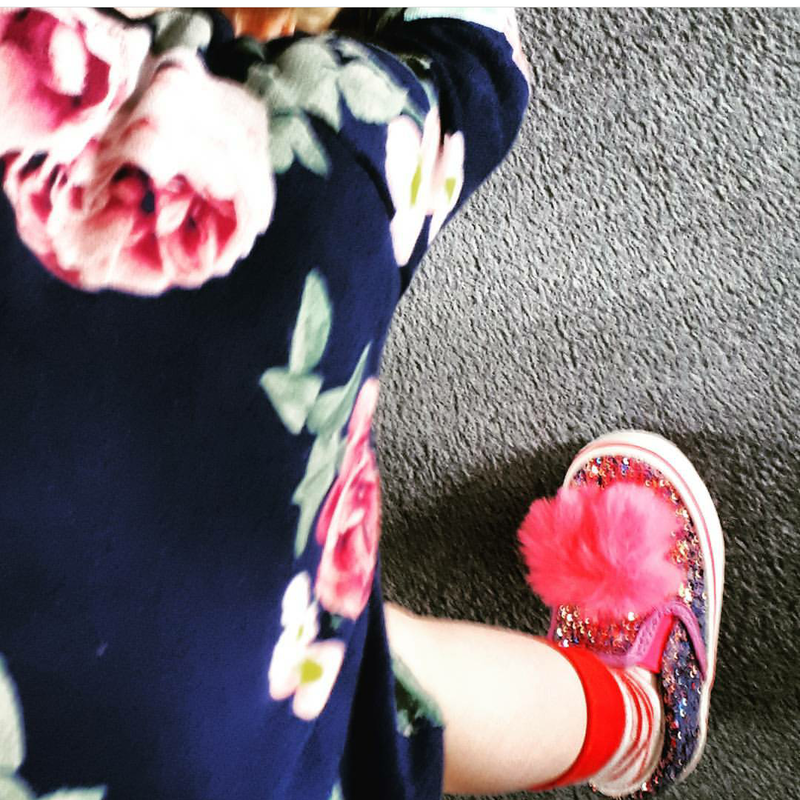 Rainbow glitter covered, slip on van style pumps with fuzzy fluorescent pompoms to the front. The pompoms have eyes and so do the shoes, at the heel and the word BOO! I wish I had taken a video of G opening the box of these. Saturday morning, I was ill, it had taken ages to get dressed and prepare to leave the house. Cue courier. I had bought these in a size bigger for G, so I could stash them away. She had other ideas. G squeezed them on herself, then proceeded to squeak and do yoga moves with them on, she wore them all day and would have tried to sleep in them. Definitely happy shoes. They do come in an adults size 6 in their older girls section. Opportunity to twin? Could I get away with them? 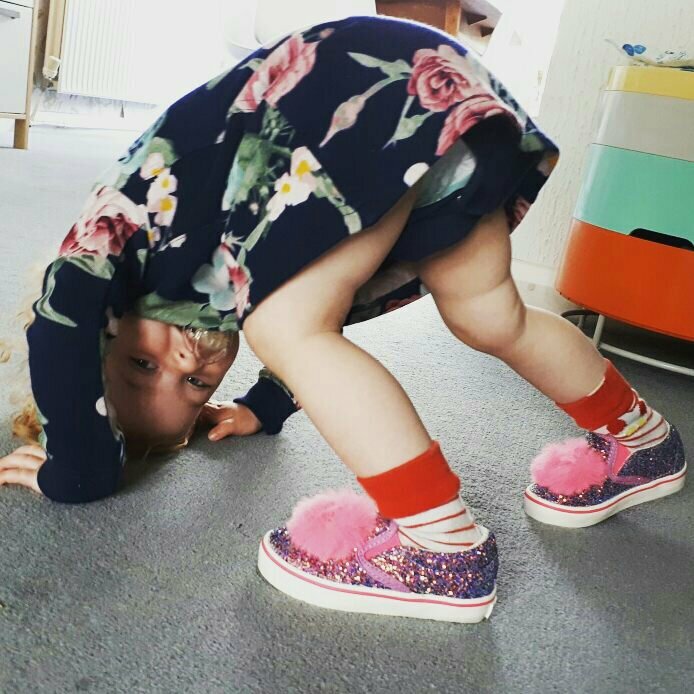 Next pompom pumps start from £16 from a size 3 Eu 19 infants. Available from Next Ltd. We bought online thru the app and they were delivered the next day.